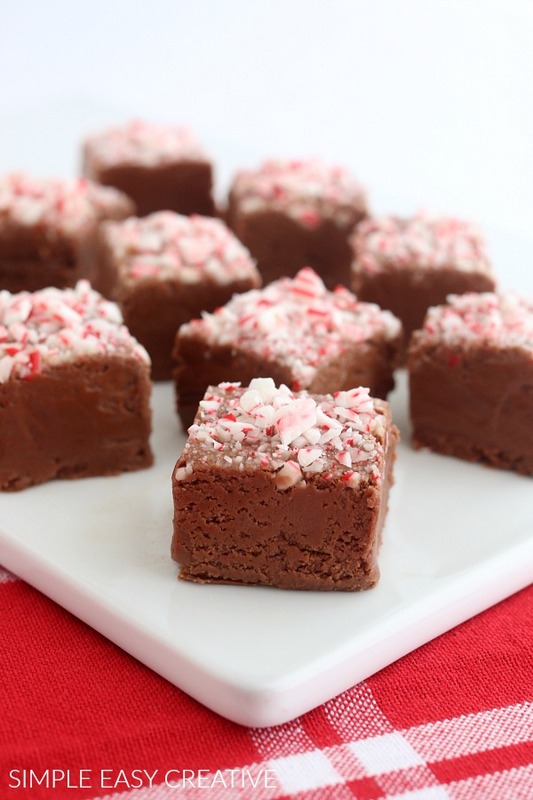 There aren’t many recipes that scream – the holidays – like Fudge! 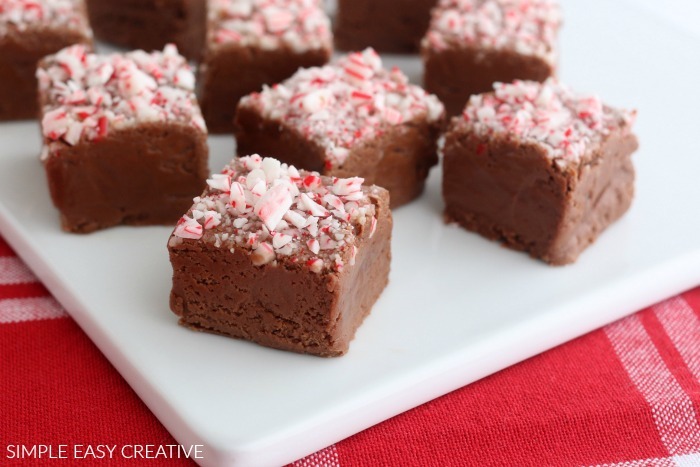 Add in the peppermint and chocolate and you have a WIN-WIN recipe! Although I used to think that Homemade Fudge took lots of time to make, over the last several years, I’ve come to discover that it’s actually one of the easiest desserts to prepare and serve. And the flavor combinations are endless like White Chocolate in Red, White and Blue colors for 4th of July and Caramel Apple Fudge with only 2 ingredients to enjoy in the Fall. There are several methods for making fudge that I have tried and had success with. In its basic form, there are only 3 ingredients needed to make chocolate fudge – butter, chocolate and sweet liquid like sweetened condensed milk or like foe this recipe we are using coffee creamer. There are two ways of preparing the fudge, you can cook the mixture on the stove or heat it in the microwave. 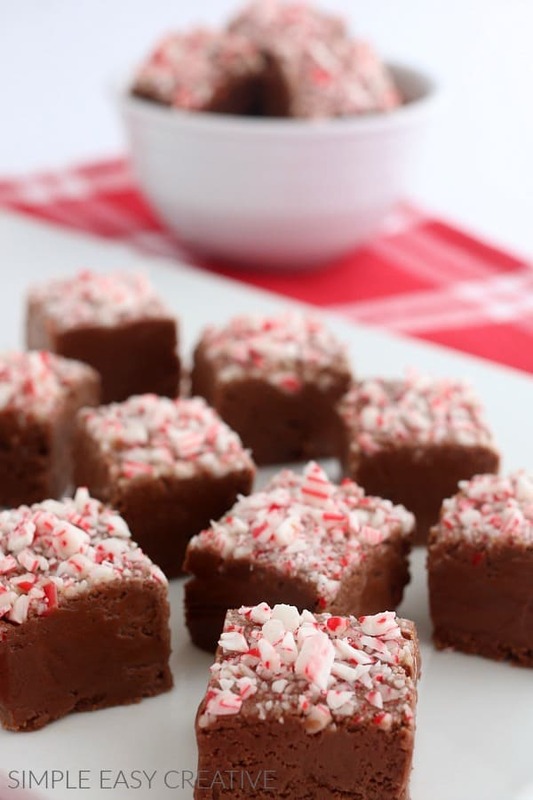 Which method you use is determined by the ingredients you use to make the fudge. Using the microwave takes less time and usually fewer ingredients. I have made 2 ingredient fudge in the microwave that is just as delicious as fudge with many ingredients and cooked on the stove. The one caution about using the microwave to make your fudge is to be sure to only heat it in short intervals and then stir after each time you heat it up. Doing this will limit the risk of burning the fudge. Once you have the basic chocolate fudge recipe, you can add flavorings and toppings of your choice. For this recipe, we added Peppermint Coffee Creamer and crushed candy canes. Gifts from the Kitchen for Christmas, or really any holiday are always welcome! I would venture to guess that if you asked your friends, Fudge is a Christmas Treat that they have every year. 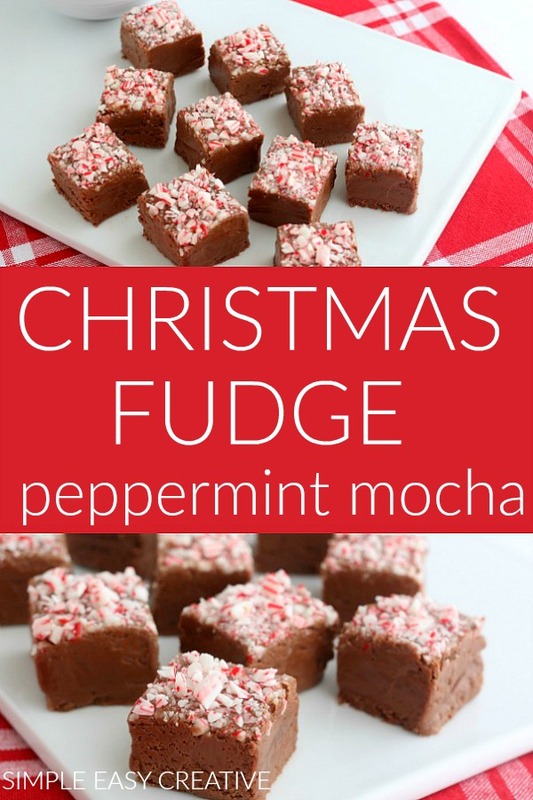 Peppermint - Mocha - Fudge - screams the holidays!